Liberal Leader Justin Trudeau says he would tell off Russian President Vladimir Putin "directly to his face" if he becomes prime minister. Trudeau accuses Putin of being "dangerous" in eastern Europe, "irresponsible and harmful" in the Middle East and "unduly provocative" in the Arctic. "Canada needs to continue to stand strongly with the international community pushing back against the bully that is Vladimir Putin," he said during a campaign stop in Toronto. "If I have the opportunity in the coming months to meet with Vladimir Putin, I will tell him all this directly to his face because we need to ensure that Canada continues to stand strongly for peace and justice in the world." 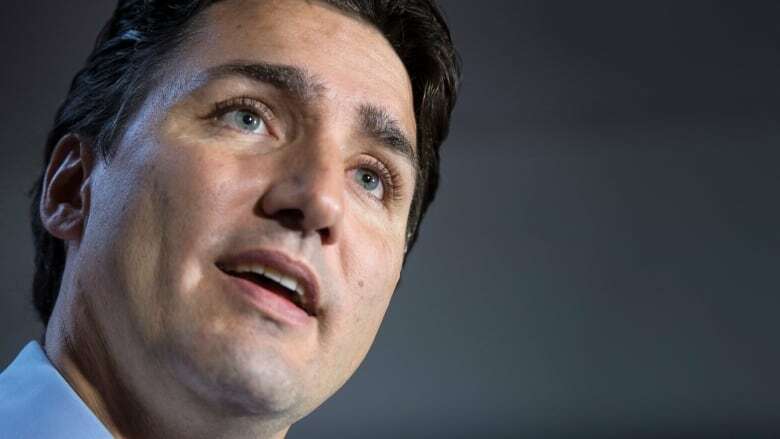 Trudeau's comments follow a Dutch Safety Board report that says a Russian-made missile downed Malaysia Airlines Flight 17 in eastern Ukraine last year, killing all 298 people aboard. On Tuesday the Liberal leader's campaign swung through a few NDP-held ridings, one day after he courted red Tories in his bid to win the election. He urged progressive voters to avoid reading the polls and delivered a thinly veiled shot at Tom Mulcair's pitch to convince voters that the NDP is the only alternative to Stephen Harper's Conservatives. "You do have a choice — multiple choices. I won't pretend that you don't," Trudeau said. "To suggest otherwise would be arrogant and an insult to your intelligence, so I'm not asking you to look at the polls. I'm asking you to look at our platform." Voters head to the polls on Monday.